my little man ~now ten months old~ carefully ate all of it and NONE ended up on the floor!! Hi Hilary: we bought one of your baking dishes at the Duncan Farmer's Market last fall and we love it - super easy to clean! 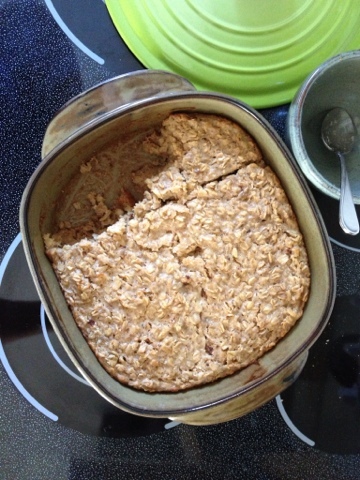 This past weekend I tried your baked oatmeal recipe for the first time, with much success. Very yummy. Didn't have yogurt on hand but had some kefir, which worked well as a substitute. Thank you, and hopefully we will have a chance in the future to add more of your beautiful, functional pottery to our kitchen.